Chiropractic care can be an integral part of your family’s overall health care plans and goals. 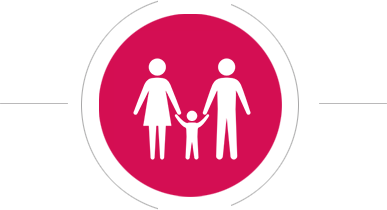 We have extensive experience working with children and can develop suitable treatment plans to help optimise your child’s heath. We are friendly clinic dedicated to improving the health of all the family. We are committed to providing the highest quality of care in a relaxed and positive environment. Our chiropractic vision is that everyone, young and old will come to experience and understand the benefits of a chiropractic lifestyle. To relieve back pain, as chiropractors we don’t just treat the pain, we treat the person from top to toe, these areas of dysfunction are treated to further aid in your treatment from pain and keep you pain free. At Complete Chiropractic, we don’t just treat your symptoms. Our goal is to find the root causes of the pain and discomfort you’re experiencing, and develop treatment options to remove them permanently.